Red Line trains single-tracked after a train struck a power line Wednesday morning. 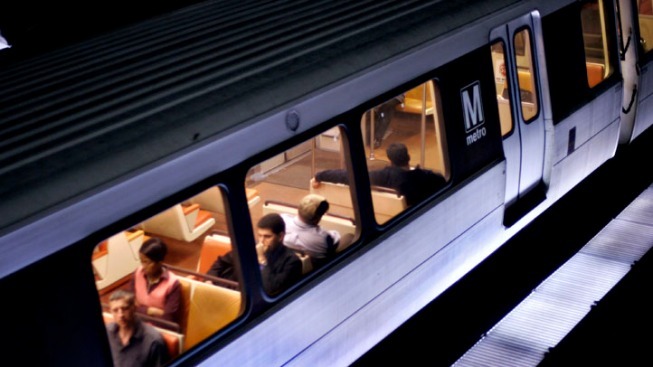 The train was traveling from Grosvenor to Medical Center when it struck a low-hanging Pepco wire just before 11:30 a.m., Metro officials said. The wire was knocked down by a Public Works employee who hit a pole with a lawn mower. Trains single-tracked between Grosvenor and Medical Center for a couple of hours. The train did not sustain any damage. Pepco said about 2,000 customers in the area are without power. Permanent repairs will be made after rush hour.